Take your vitamin B-complex with a healthy, balanced breakfast. 1 What Vitamins Help the Liver? All B vitamins play a key role in energy production, growth and development. They are also essential for the production of red blood cells and nerve health and function. A vitamin B-complex supplement gives you a dose of vitamin B-12, vitamin B-6 and other B vitamins, which all have a stimulating effect on the body. Your doctor may recommend a supplement to enhance your daily diet. 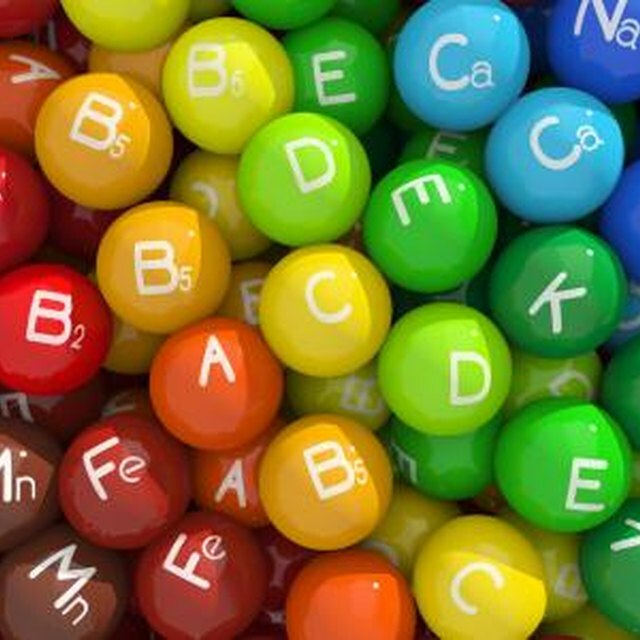 It is important to get adequate B vitamins from foods such as meat, poultry, fish, legumes, vegetables and fruit. It is best to take a B-complex vitamin in the morning. The B vitamins are essential for food metabolism and energy production, meaning they help turn the foods you eat into fuel your body can use. These nutrients help you to feel more alert and energized, which is what you need during the day. Taking a B-vitamin supplement at night may give you energy when you are trying to wind down to sleep. In some cases, this can lead to disturbed sleep. After a long night's sleep, your body requires more B vitamins and other nutrients. This family of vitamins is water-soluble, meaning they cannot be stored by your body and must be gained through your daily diet. Take a vitamin B-complex with the first meal of your day to help replenish nutrients and aid food metabolism. Kitchen Table Medicine: When Is the Best Time to Take Vitamins?